Recently, I attended a professional learning opportunity on assessment which was led by Myron Dueck. Myron is the author of "Grading Smarter, Not Harder: Assessment Strategies That Motivate Kids and Help Them Learn", and a leading authority and speaker on effective assessment in the classroom. In one of his sessions, Myron shared with us the use of using whiteboards for assessing children in the classroom. Essentially the student shows their learning of a particular concept using a small whiteboard and marker while explaining their understanding. 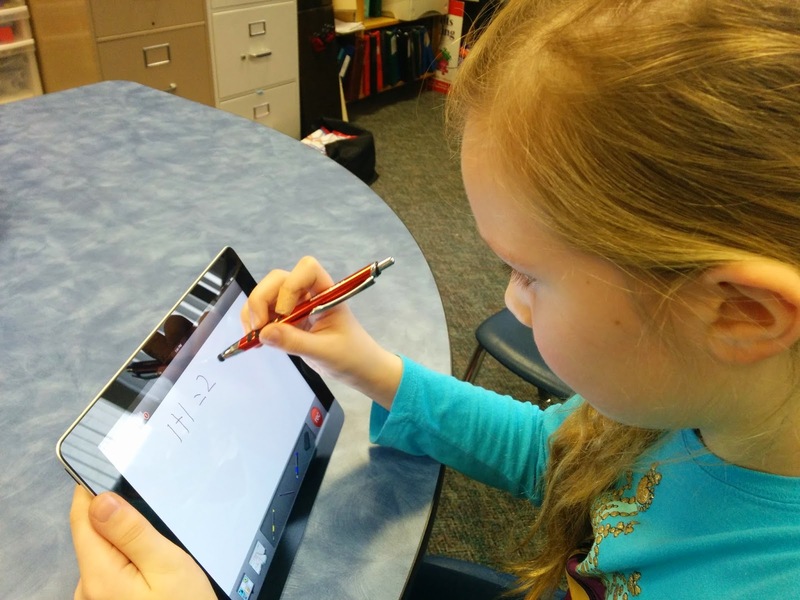 The teacher or another student can record the "whiteboarding" session with a camera or tablet. 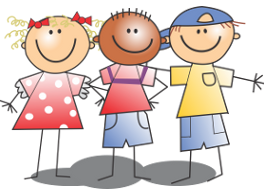 The teacher can then assess the student's learning and also show the child's learning during parent/teacher meetings or student led conferences. The day after the professional learning opportunity, I ordered thirty whiteboards from Scholastic using my Bonus Bank. When the whiteboards arrived, I was eager to get started. I gave pairs of students a whiteboard and an iPad and asked them to show six ways to represent numbers which was a concept we covered previously in math. One student would show their knowledge on a whiteboard while the other student would record the "whiteboarding" session over the shoulder of the presenter. This was a fantastic way to gain insight into a child's thinking and it also provided a powerful sample of work I could use for assessment and/or evaluation. One other reason I wanted the students to record their thinking was to share their "whiteboarding" videos on our YouTube channel so that other children who may be struggling with a specific concept could watch our student videos and hopefully learn from children their own age. This is essentially the same strategy to learning that Khan Academy has been so successful with. The issues I have found with the above "whiteboarding" strategy has been camera shake, lots of noise from the camera, and often a limited view of the student's work. 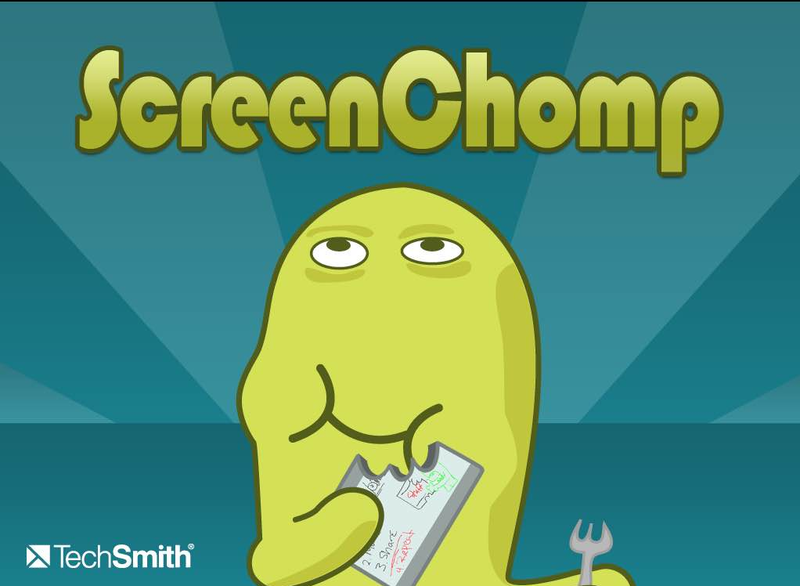 Enter the ScreenChomp app. 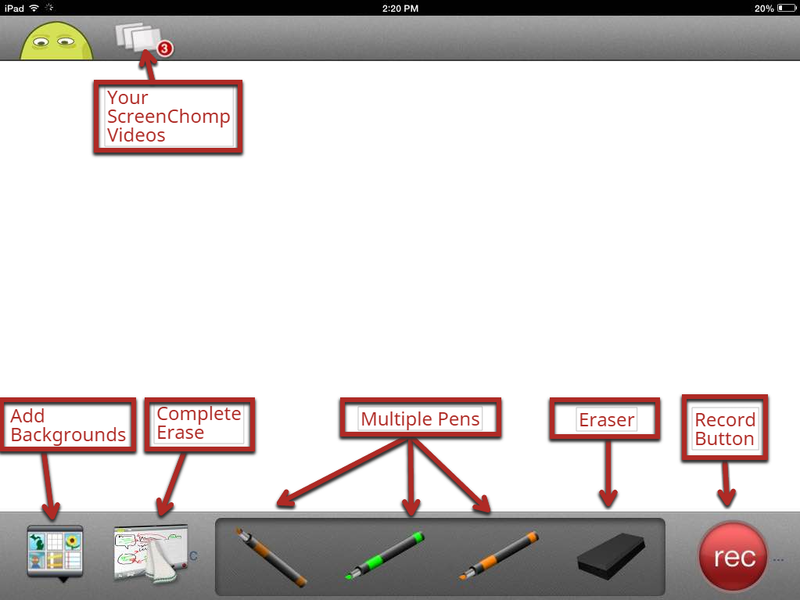 ScreenChomp is an amazing iPad app produced by Techsmith, the same company who brings us fantastic software such as Camtasia, Snagit and Jing to name a few. 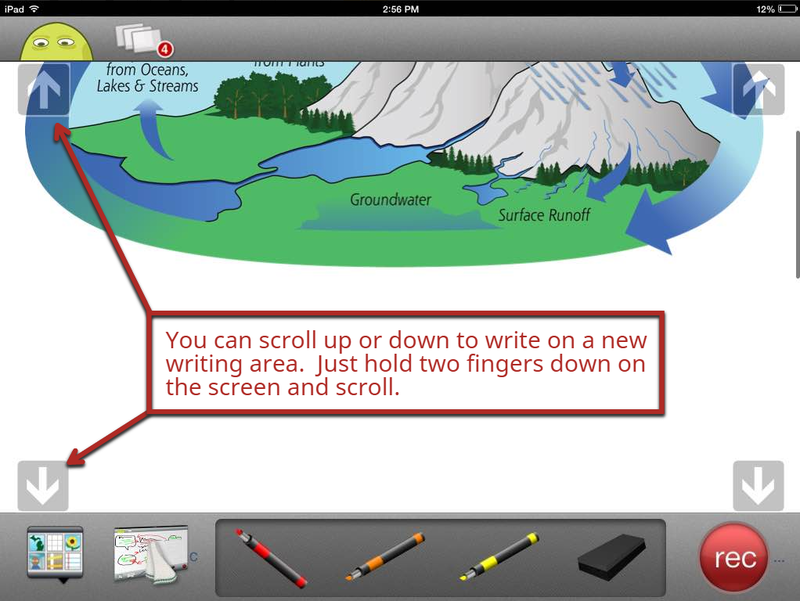 The app is completely free to download and use and the simplicity of the program is pretty amazing for division one students. My students were able to essentially pick up the iPad and create some pretty awesome videos after playing with the app for only a few minutes. Students demonstrating their knowledge on specific concepts (e.g., rock/water cycle, math concepts, verbs/nouns). 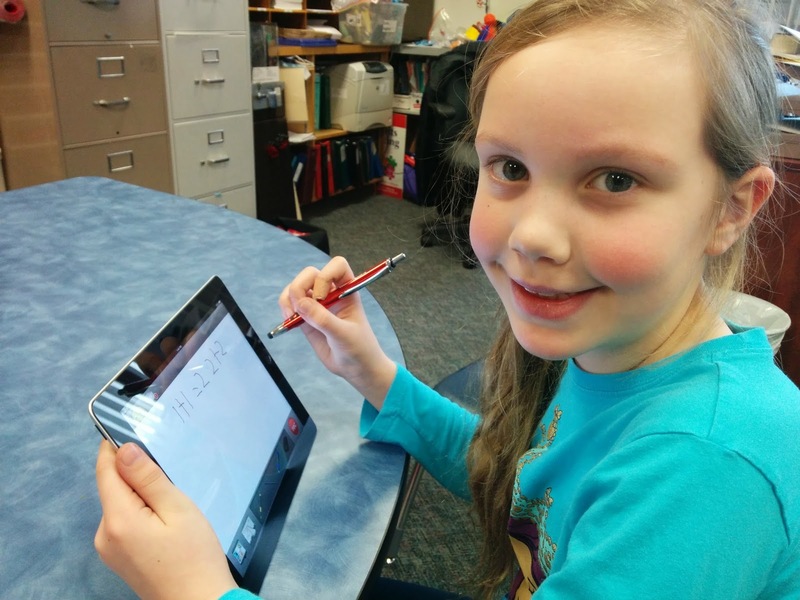 Teaching a concept for a student who was absent or for a flipped classroom. 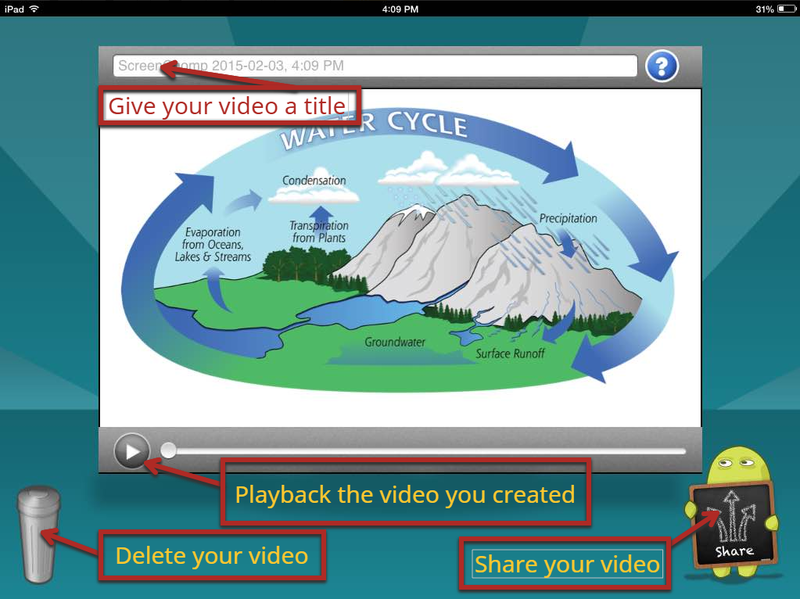 Students creating videos for other students to learn. Here are some ScreenChomp videos that students from my grade three classroom created. This is a YouTube Playlist so you can skip between videos. Also, text was added to the video using Movie Maker. 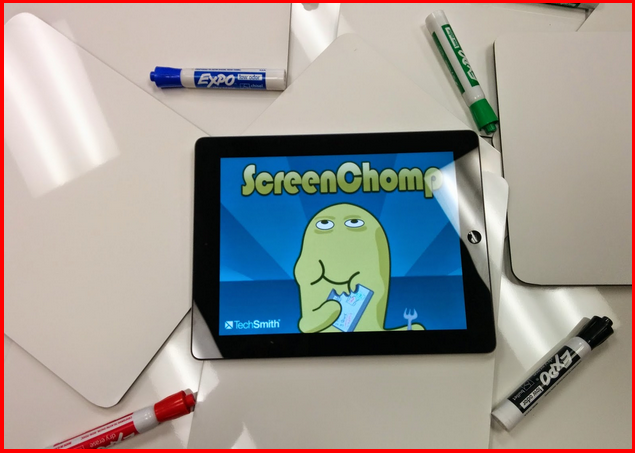 ScreenChomp is extremely easy to use and I encourage you to play with it and let your students create videos on a topic of their choice. Below is an extensive tutorial on how to use ScreenChomp. 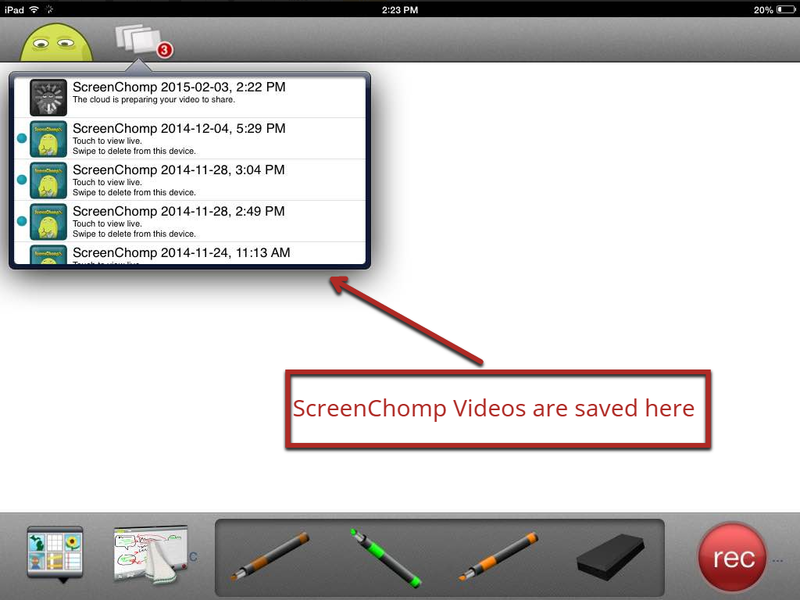 Your ScreenChomp Videos - this is where your videos save to. You can see in the image below that I have 3 created videos there. 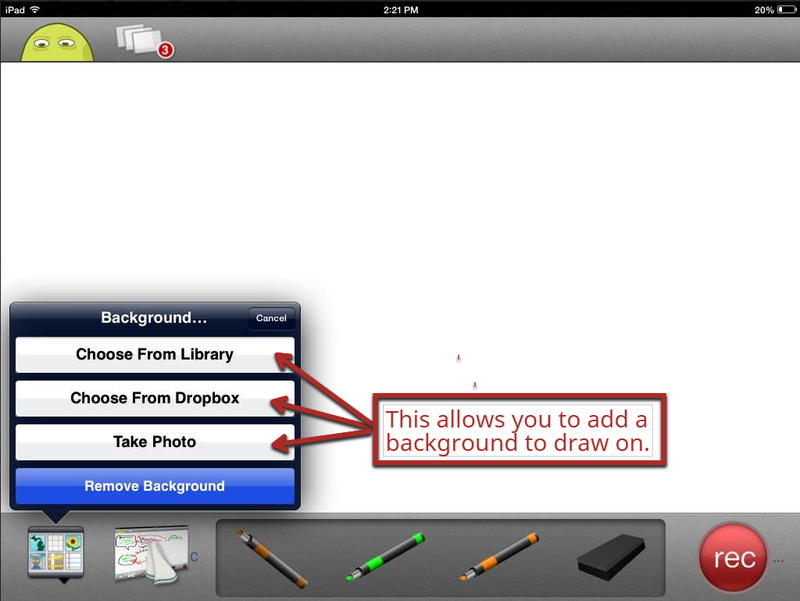 Adding Backgrounds - here you can add a background image as you will see later. Complete Erase - if you hold this picture down, it will erase the entire whiteboard except backgrounds. Multiple Pens - you can set the pen colors/thickness ahead of time or on the fly as you will see below. Eraser - this allows you to erase like a normal eraser. Record Button - press this button to begin recording your whiteboarding session. by taking a photo using your iPad. After you choose your image, you can move it, resize it, or rotate it. 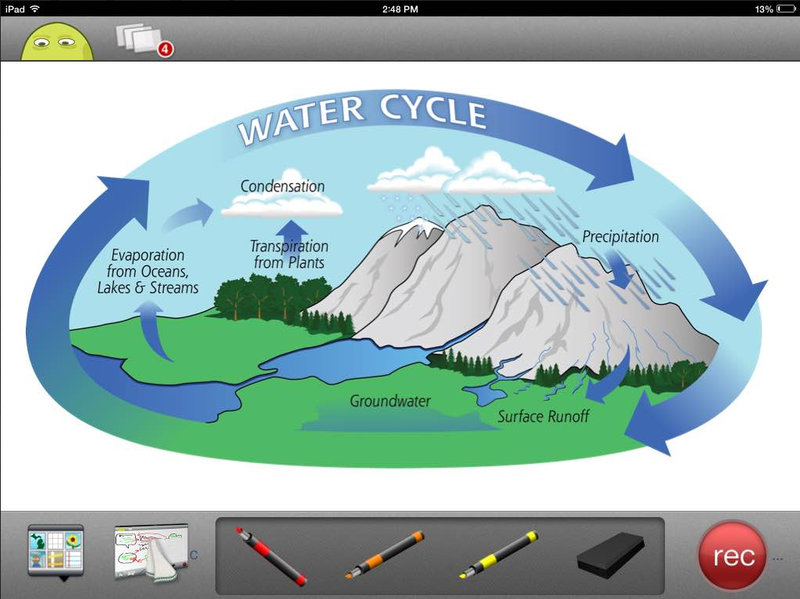 Below is the image of the water cycle inserted and ready to go for my "whiteboarding" session. You can always change the pen colors and thickness while you create your video but I like to have three pen colors chosen before I record my video. To do this, just choose one of the pens and a color/thickness screen will popup. See the image below. Choose a pen color and thickness for each pen. You are now ready to record your video. To record, just hit the "record" button. Once you press the record button, you will be given a countdown screen like the one below. Your ScreenChomp session will begin when the countdown session is over and you will know it is recording because you will have a microphone and timer in the upper right hand corner (see above image). 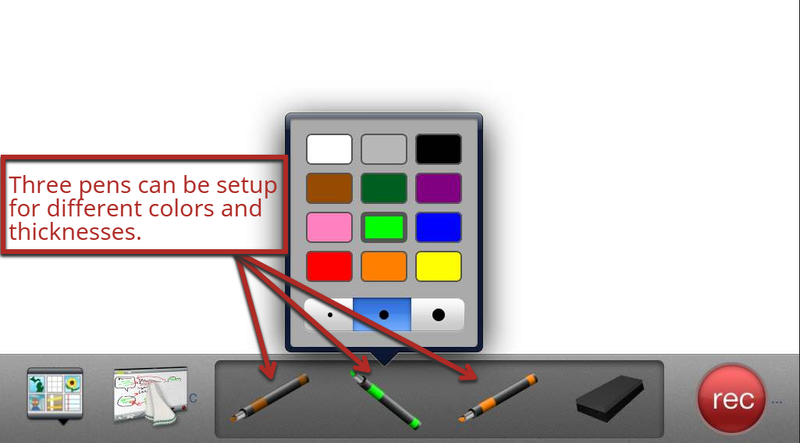 During the recording, you can do several things like pause the recording, change pens and colors, erase small sections or completely erase the entire screen except the background. You can also scroll to a new white space. 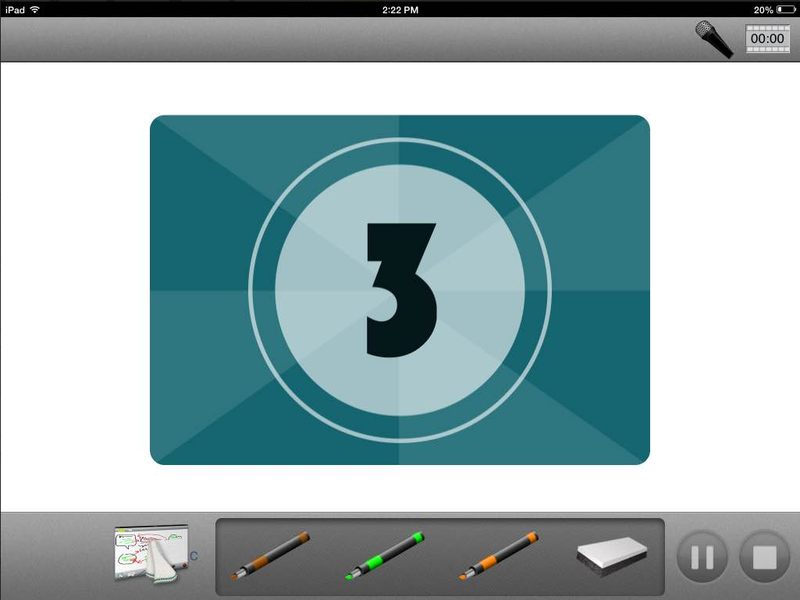 To erase everything except the background, you can hold down the "Complete Erase" image for three seconds. 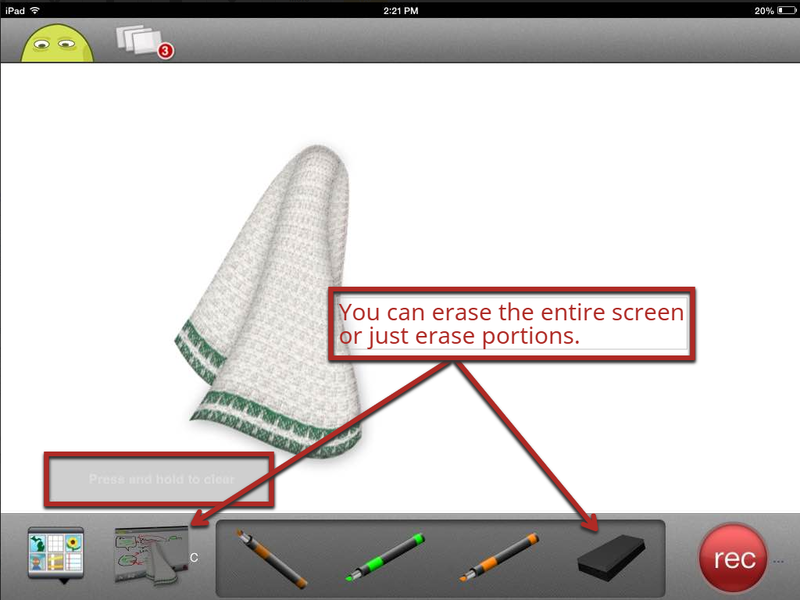 A cloth will appear and will erase the screen. The cloth does not show up in your video. 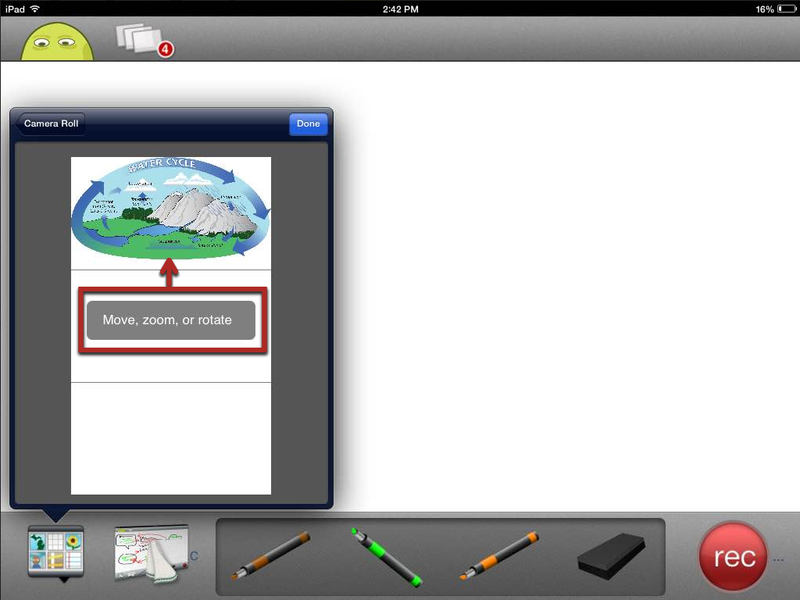 To erase only small sections of the pen drawings, you can choose the eraser and erase on the screen. While recording, you can scroll up or down. This will give you white space where you can continue your "whiteboarding" session. To scroll, put two fingers on the screen and scroll up or down. See the image below. When you are done creating your video, press the "stop" button and your video will be saved. 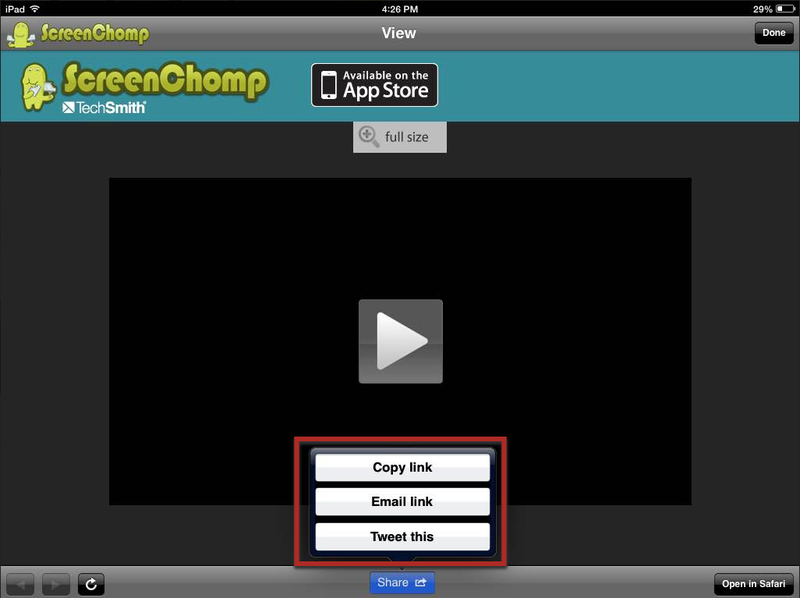 In order to save your video, you need to choose the "Share" image above. This will save your video back on the main ScreenChomp screen. You can see in the image below that I have three saved videos and one that is currently saving. 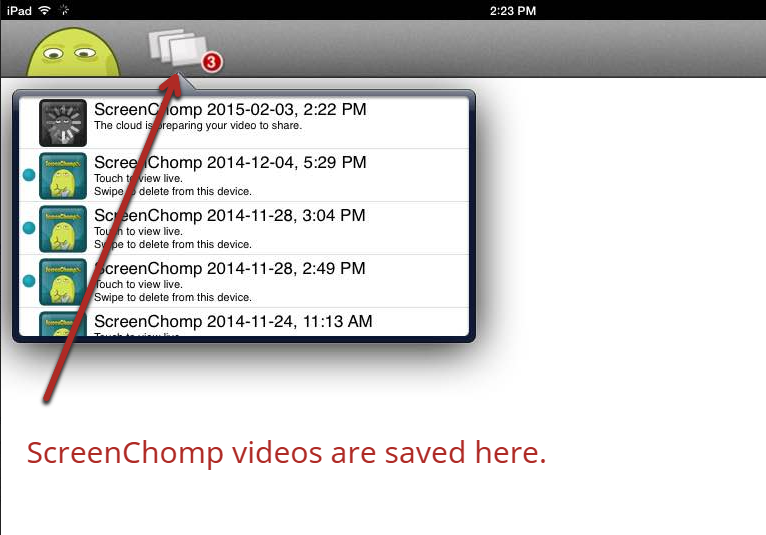 Videos are saved on the ScreenChomp server but I like to download them in MP4 format. This will be covered below. You have now saved you video and you want to access the link or download it. To do this, choose the video you wish to access from the files of saved videos. 1. From the screen above, click "Open in Safari"
2. Safari will launch with your video. Scroll down below your video and click on the "download"
1. Choose "Email Link" (see two images above). 2. Email the link to yourself so you can open the url on your computer. 3. When you click on the link, you will be taken to your video like the above image. 4. Scroll down until you get to the option to "Download". 5. Click on "Download" and save it to your preferred location. If you have any comments or questions, please post them below. I will update this post if questions arise.